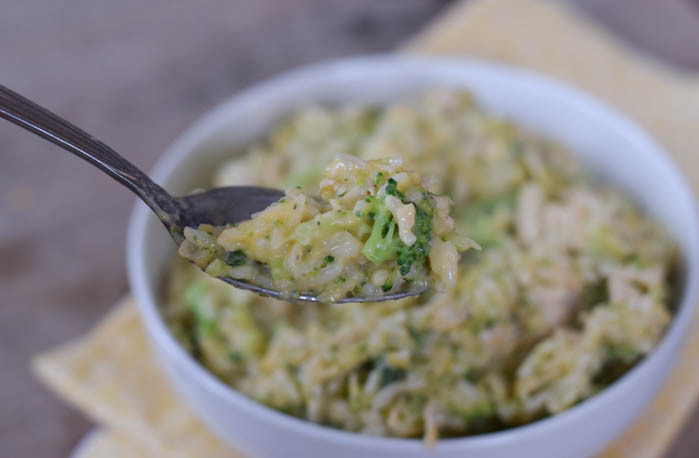 Whether you are looking for a delicious comfort food meal or an easy quick recipe, this Instant Pot Chicken Broccoli Rice is just that. 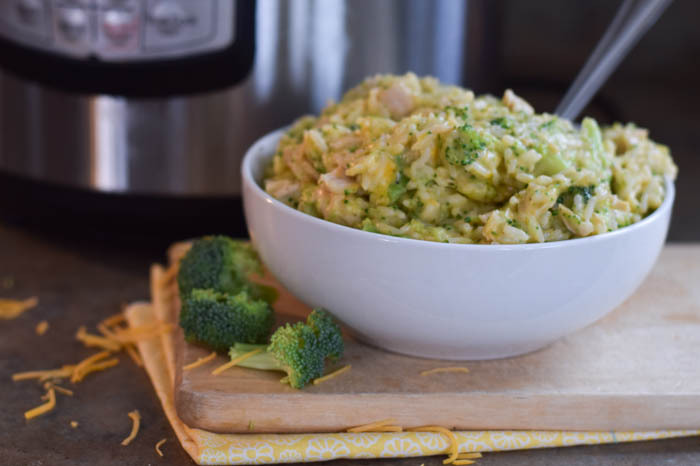 This cheesy Instant Pot Cheesy Chicken Broccoli Rice is easy and just takes takes minutes to prepare with having a full meal ready in just minutes with the Instant Pot. 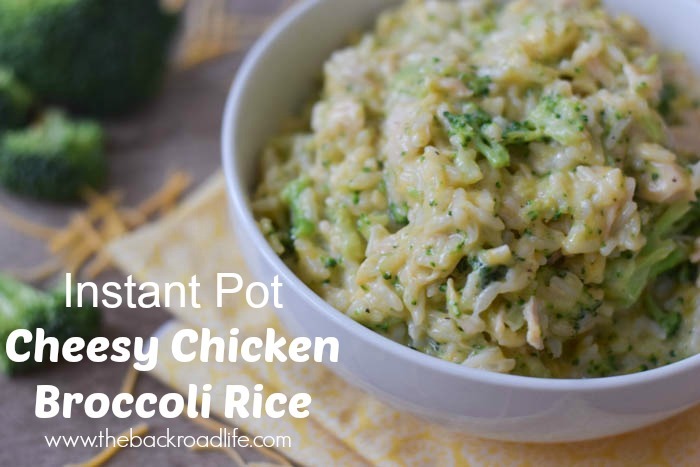 This recipe is packed full of flavors and nutritious as well with the long grain rice, broccoli, and chicken. 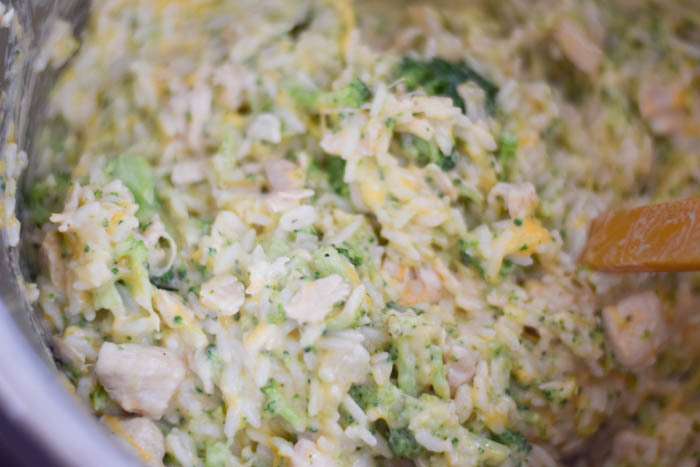 Simple to make this casserole and an instant family favorite for dinner time! 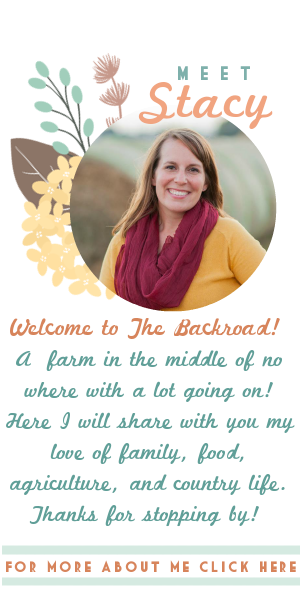 I have been loving my Instant Pot! Less mess, less dishes!.....Plus the bonus of getting the meal ready quicker. You really can't beat it! 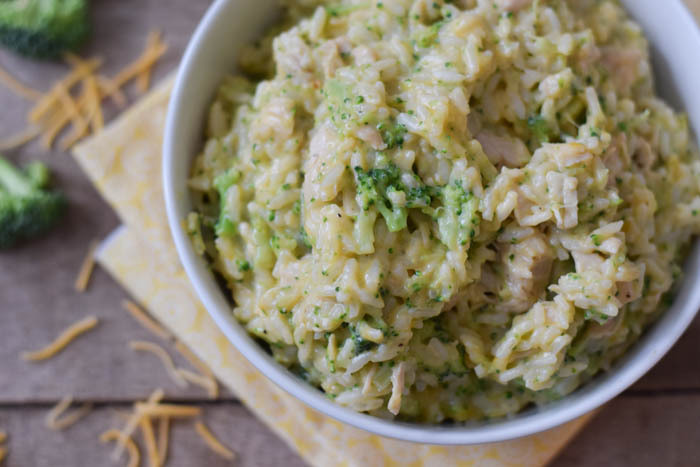 This Instant Pot Cheesy Chicken Broccoli Rice combines the main dish and the sides all together in one amazing casserole! 1. 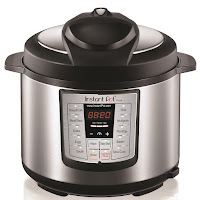 Turn Instant Pot on and set on Steam. Place broccoli florets in steamer basket and set Manual for 0 minutes. When done Quick Release and remove broccoli right away. Turn Off. 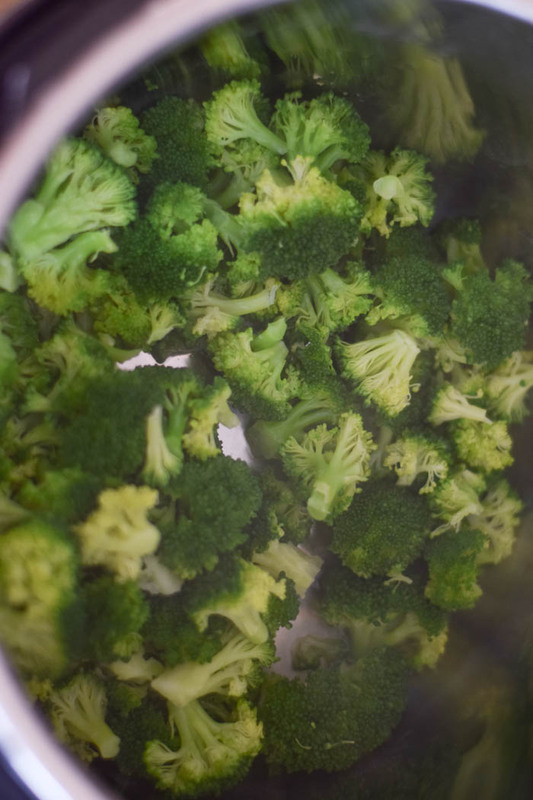 Set aside broccoli in separate bowl and clean out pot insert. 2. 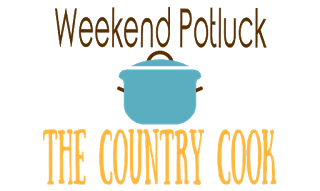 Place pot insert back in Instant Pot. Turn Instant Pot on Saute. Add vegetable oil and heat until hot. Add chicken, onion, garlic powder, and pepper when hot. 3. 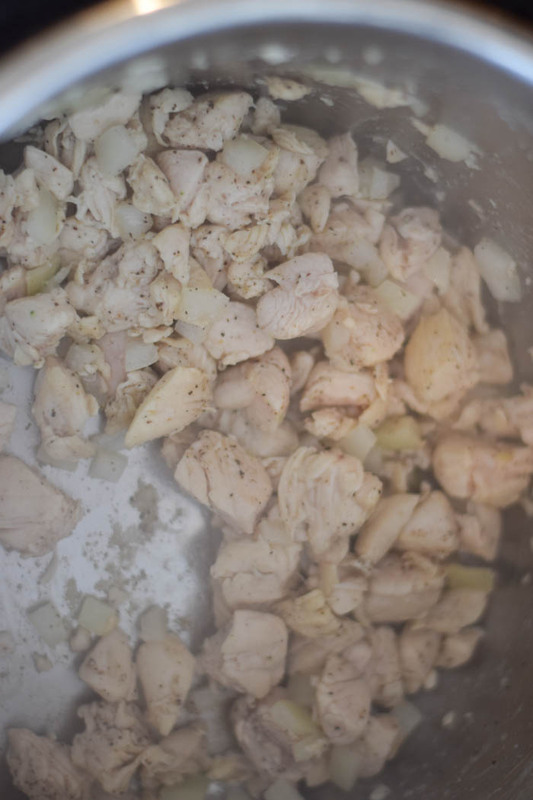 Cook chicken mixture until chicken is cooked thoroughly. Add rice and broth and stir together. 4. In a small bowl combine together the milk and flour and whisk together then set aside. 5. Lock lid on Instant Pot and cook on manual high pressure setting for 5 minutes. When time is up do quick release. 6. After the quick release, immediately remove lid and add the flour/milk mixture, broccoli, and shredded cheese and stir all together well. Serve. Enjoy this delicious one pot meal! I'm going to try this. 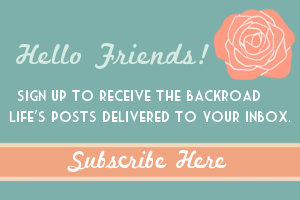 You have a cute blog. Thanks for not throwing ads everywhere. What a great homemade meal! Yes, the 0 minutes is correct. It's just enough for the broccoli to be steamed with a little crisp but not mushy. White chicken recipe is fantastic for all those dinner that you are serving, anytime of this afternoon. Anyone who enjoys tasty foods are sure to love the white chicken cream recipe. This recipe is one of their favorite recipe one of my relatives, on every single weekend I make this recipe to all them.Try this white chicken recipe indian, this is quite easy to make at your home kitchen.